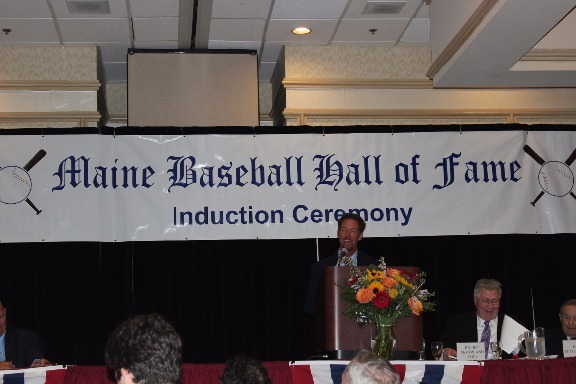 ​The Maine Baseball Hall of Fame will welcome its new members at its 47th annual Induction Ceremony and Banquet Sunday, July 23, 2017 at the Holiday Inn By the Bay in Portland. ​Being inducted are Ben Lowry, Dennis Damon, Dave Paul, Dave Gaw, Gil Arnold, Dave Littlefield, Paul Mitchell, Brian O’Gara, Elmer Rising, Derek Soule and Dan Warren. Arnold and Rising are being recognized posthumously. Lowry, of Bridgton, was a three-time all-state selection at Falmouth High School and compiled a .426 career batting average at Colby College in Waterville. ​​​Paul, of Veazie, was a three-sport standout at Orono High School and coached the Old Town-Orono American Legion team to three state titles. He serves as Zone 1 commissioner for Maine. ​Damon, of Trenton, founded the Acadians American Legion team and has served as the American Legion State Field Director for 22 years. 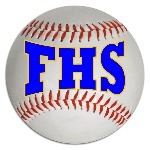 Gaw, of Guilford, was a two-time All-State Series selection at the University of Maine (1962-1963) and coached at Piscatquis Community High School for 23 years. Arnold, of Mattawamkeag, was the premier pitcher of his era on the Mattawamkeag Merchants during the heyday of town team baseball. Mitchell, of Waterville, was an outstanding second baseman for the University of Maine from 1946-1948. The Paul Mitchell Batting Pavilion at UMO was dedicated in his honor. Littlefield, formerly of Portland, was General Manager of the Pittsburgh Pirates and currently serves as a major league scout for the Detroit Tigers. ​O’Gara, formerly of Westbrook, has worked in the Commissioner’s office of Major League Baseball for 23 years as vice president of special events. Rising, of Rockland, was undefeated as a schoolboy pitcher at Rockland High School in the 1920s and later pitched for the semi-pro Easterns. Soule of Cumberland, was an all-conference infielder at Greely High School and has coached the Rangers for 17 seasons, winning four state championships. ​Warren of Scarborough, was general manager of the Libby-Mitchell Post American Legion team for 17 years and founded the Southern Maine Kids Travel Baseball League.